Since I am currently living in Milan, guess I should first write something about this city. 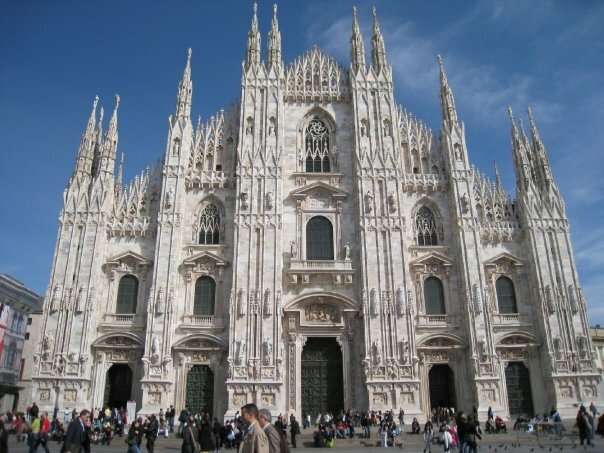 Milan is the business centre of Italy, so unlike Rome, it does not provide that many sightseeing places. The ‘must go’ places in the city are the Duomo (cathedral), Castello (castle) and various museums, one of which housed the most famous painting of Leonardo da Vinci’s “The Last Supper”. If you have more time, then take an hour train ride to the beautiful Lake Como where American actor George Clooney has bought a house. For all shoppers, you will ‘shop till you drop’ with all famous brands like Armani, Versace, Prada, Dolce & Gabbana, Pucci, Gucci etc. As for all soccer fans, there is the San Siro Stadium which you can enjoy a soccer match of the world class Italian soccer teams. All these touristy information you can easily find in many websites, so I don’t think I should go into details but instead, I am going to tell you some useful tips for going around Milan which are not commonly mentioned in other sites. There are 2 main airports in Milan, Malpensa and Linate. Taxis in Milan, like most big cities are pretty expensive. A trip from Malpensa airport to the city centre will cost around 90 to 120 euro and around 60 to 90 euro from Linate airport. So the next best alternative is to get the Malpensa express airport train from Malpensa and the bus from Linate to go into the city. Malpensa express has 2 different lines, one goes to Centrale station and another to Cadorna station. Both are big stations, so you can easily get a taxi from the taxi stand. In Milan, unlike London or New York, you cannot hail a cab anywhere else except the taxi stands. All taxis are ‘on call’, and be prepared to pay an extra 15euro or so if you call a taxi. The metro system in Milan is much better than in Rome and it covers around 70 to 80% of the city centre. A one day ticket is € 4.50 which gives you unlimited access of metro, buses and trams within a 24 hour time limit. A single trip ticket costs € 1.50 and it gives you one ride of metro plus one bus or tram ride within 90 mins. Carnet of 10 Standard Tickets costs € 13.80 You have to be aware that tickets are only sold in metro stations, some small bookstores/ newspaper stands and some bars but NOT on buses or trams. When you get on buses or trams, you do need to validate the ticket by putting it into a validator. If you are caught without a ticket or fail to validate it, you are subject to a fine of 35euro and the fines have to be paid on the spot to the officer. If you are traveling by trains within Italy, don’t forget to validate your train tickets before you get on the train. 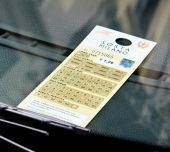 If you intend to drive around Milan, you have to take extra precautions as to where you park as parking spaces are scarce. Yellow lines parking zones are only for residents living in that particular area and blue lines parking zones are for all. However, you do need to display a parking ticket in the front of the windshield area. So much about ‘going around’ tomorrow, I will give you information about some good restaurants and bars. Stay ‘tuned’! This entry was posted in Travel, useful information and tagged metro, milan, tickets, transport. Bookmark the permalink.